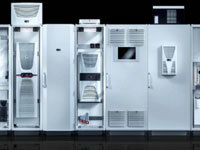 1.We supplies Rittal Enclosure Air Conditioner (AC) units for tool-free assembly in surfaces. 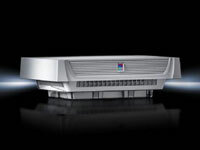 2.Air throughput 20 â€“ 900 m3/h, protection category IP 54 as standard. 3.Also available with EMC shielding. 4. Supplies to delhi and mumbai. 1. Simply top: One system and only one mounting cut-out for all sizes. 2. Optimum efficiency, thanks to sophisticated air routing with minimal pressure losses. 3. Innovative clamping attachment ensures a high protection category. 1. 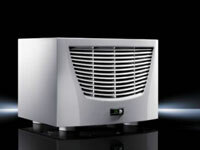 Complete rittal AC fan-and-filter unit for attachment to the 482.6 mm (19") system. 2. Air throughput 320/480 m3/h. 3. Supplies all over india. 1. Heat exchanger with two separate air circuits. 2. The temperature difference between the internal and external circuit will have a decisive effect on the heat loss that may be dissipated. 3. Supplies to delhi, mumbai and hyderabad. 1.For external or internal mounting in doors or walls via standard mounting cut-outs. 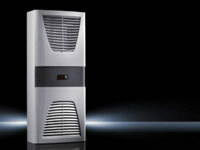 Nano-coated condenser. 1. 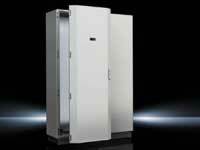 Rittal Door or side panels as well as escape routes are kept clear..
2. 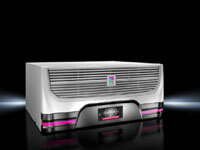 Rittal Electrical condensate evaporation and nano-coated condenser. 3. Optional Rittal roof plates with mounting cut-outs. 1. Easily exchanged for the existing door without the need for machining while the system is operational. Cooling output up to 2500 W.
Easily exchanged for the existing door without the need for machining while the system is operational. 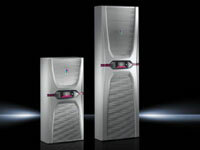 Cooling output up to 2500 W.
1.Rittal for mounting on the wall or any sufficiently large vertical surface. 2. Supplies to delhi, hyderabad and other cities. 1. Output classes 1,875 â€“ 4,000 W. For use in tough environments. Flexible water connection options. 2. Supplies uo mumbai and pune. Supplies uo mumbai and pune. 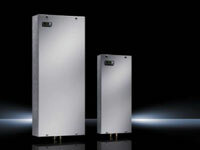 1.ARittal enclosure Air/water heat exchanger in TS8 baying system, useful cooling output 10 kW. 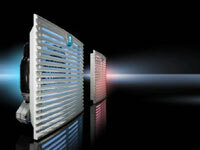 Rittal AC Centralised and efficient cooling of the cooling water. 2. 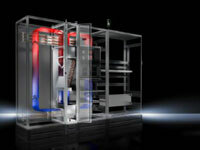 All cooling tasks on a system or machine can be solved via a single pipeline system.